All set to celebrate Valentine’s Day? Before you say YES, let us discuss the importance of this day. Each year on February 14th, many people exchange cards, candy, gifts or flowers with their special “valentine.” The day of romance, we call Valentine’s Day, are named after a Christian martyr and dates back to the 5th century, but has origins in the Roman holiday Lupercalia. Several martyrdom stories were invented for the various Valentines that belonged to February 14, and added to later martyrologies. A popular hagiographical account of Saint Valentine of Rome states that he was imprisoned for performing weddings for soldiers who were forbidden to marry and for ministering to Christians, who were persecuted under the Roman Empire. According to legend, during his imprisonment, he healed the daughter of his jailer, Asterius. An embellishment to this story states that before his execution he wrote her a letter signed “Your Valentine” as a farewell. Today, Saint Valentine’s Day is an official feast day in the Anglican Communion, as well as in the Lutheran Church. The Eastern Orthodox Church also celebrates Saint Valentine’s Day, albeit on July 6 and July 30, the former date in honor of the Roman presbyter Saint Valentine, and the latter date in honor of Hieromartyr Valentine, the Bishop of Interamna (modern Terni). In Brazil, the Dia de São Valentim is recognized on June 12. 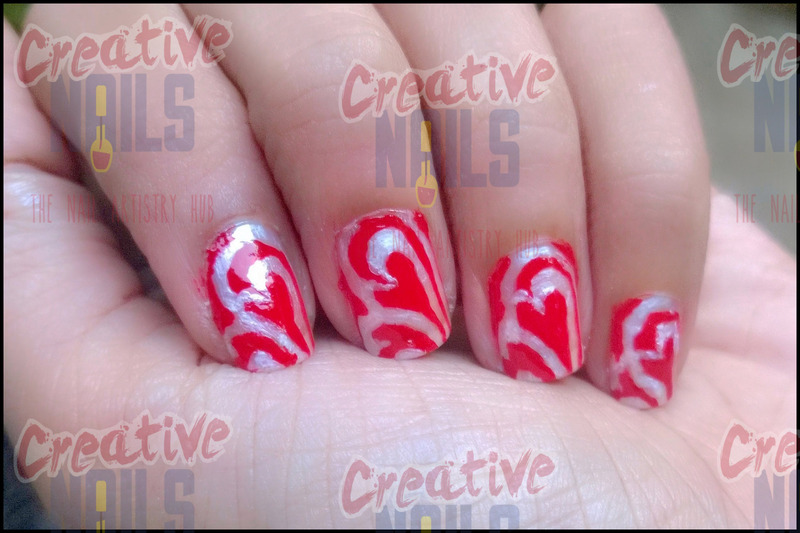 Creative nails wishes you a very HAPPY VALENTINES DAY in advance! ← Promise Day Nail Art!